I’ve never been a big Wonder Woman fan outside of Bruce Timm’s Justice League: Unlimited. I prefer the likes of Captain Marvel, Huntress, Spider Woman, and Black Canary in the realm of badass heroines. As a result, I never read Wonder Woman’s New 52 comic. I don’t know how she was portrayed in that comic, the recent Trinity title, or Superman/Wonder Woman. I also will admit that I lost interest in the current Justice League line-up after the departure of Shazam and the remarkably disappointing “Darkseid War” story. I know it has a new creative team, but I’m just going to wait for the new Justice League of America title for my next dose of the League. All of this being said, damn I hated Wonder Woman in Geoff Johns’ Justice League book. I don’t like citing authors with their bad work, and, in fairness, his Justice League comic was mostly great. However, this is the best means I can think of to denote the specific iteration of the Amazon Princess that irked me to high heaven. This character bounced between being entirely lifeless and acting like a small child throwing a frigging temper tantrum. It’s like they wanted to make her a strong protagonist, but they were unsure how to go about it. As a result, they made her a short-tempered brute who was a breath away from taking someone’s head off for truly arbitrary reasons. From Green Lantern to Lex Luthor, it never seemed hard to make Wonder Woman throw a damn fit in this book. That’s to say nothing of the odd relationship between she and Steve Trevor. It was nebulous, ill-defined, and overall uninteresting. However, it never made either character look good. Also, can we all agree that the modern iteration of Steve Trevor is pretty boring? 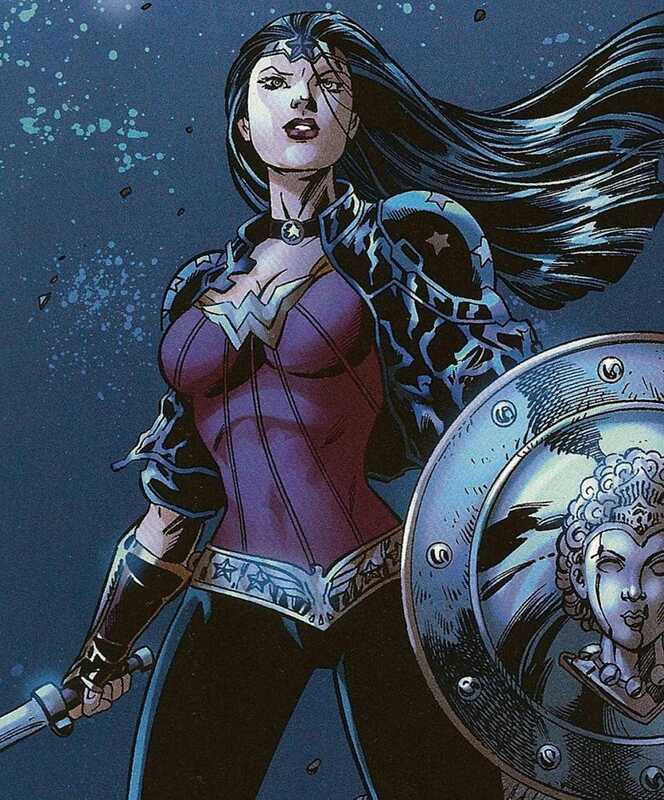 It’s not a comic, but I also want to namecheck the animated feature, Justice League: War to give another example of the kind of Wonder Woman we are talking about here. Admittedly, she had a little more personality in this cartoon. However, it only served to make her seem more like a woman-child. Yeah, yeah, cultural differences and exploring a world unknown to her and other justifications for this personality that people probably give for this personality. However, you can do that without making her look like a small girl in a grown woman’s body. It’s infantilizing the original awesome, badass heroine, and it seemed very insulting towards that heroine. The ice cream scene, in particular, was pretty damn uncomfortable. It was definitely made worse by the fact that she doesn’t wear pants. Maybe she was and is better in her own title. Maybe Bryan Hitch is doing a better job with Diana Prince in his Justice League title. All I know is that her personality in Geoff Johns’ Justice League title was infantile and insufferable. Also, it would not have hurt anyone if they gave her damn pair of pants okay? That’s right, I’m opening this can of worms. For those of you who flipped out about her actually being given some frigging pants, it would not have been a big deal. It wouldn’t have ruined the character. And, guys, you’re not entitled to titillation every time a female character shows up. In fact, given her warrior princess backstory, it’s extra bizarre that she leaves thighs, you know, where a lot of important arteries are, that exposed. And, no, I don’t take the whole thing about her being from an archaic Amazonian society as an excuse. You know what? I even liked this. I thought this looked cool. I had nothing wrong with it. I liked the jacket. Props to Jim Lee for this redesign too.